University of Health and Sciences (UHS) and Joint admission Committee (JAC) is the main body responsible for conducting entry test of MBBS and BDS admissions for Public sector and Private sector medical colleges of Azad Jammu and Kashmir. AJK state entry test for MBBS and BDS admissions will consist of 220 MCQ’s from Biology, Chemistry, Physics and English. AJK entry test will be distributed as Biology (88) question, Chemistry (58) questions, Physics (44) questions and English (30) questions. Every year thousands of students appear in AJK state entry test from Azad Jammu and Kashmir for limited number of seats available in medical colleges of AJK, which led the competition high and only those students can score good marks whose will clear concepts in detail. AJ&K state entry test is very technical and conceptual so only depth preparation will help students in getting good score. This entry was posted in AJ&K Medical and tagged AJ&K MBBS, AJ&K Physics MCQs, AJ&K Physics MCQs with solution, AKU mbbs admission, AMC Physics MCQs with answer, BDS, BDS test, Best way to prepare for UHS MCAT, Dental Entry Test UHS, download UHS MCAT Papers, Download UHS Past Papers, DUHS Admission, entry test preparation, FMDC Physics Question with explanation, Frontier Medical College Abbottabad BDS Admission, How to join Paf after MBBS, How to Prepare for Punjab MCAT, How to Prepare for UHS MCAT?, KPK MBBS, MBBS admission, MBBS in Pakistan, online entry test mcqs, punjab mcat, Punjab MCAT Biology MCQs, Punjab UHS MCAT Syllabus, Sindh BDS, UHS Biology MCQs, UHS Chemistry MCQs, UHS Physics MCQs on September 25, 2018 by Pakprep.com Admin. Sindh has Fourteen (14) private sector medical colleges that are recognized by the Pakistan Medical and Dental Council (PMDC). 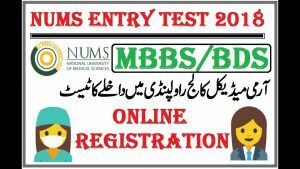 There are very limited numbers of seats in Sindh medical colleges and approaching students must score good marks in the entry test. 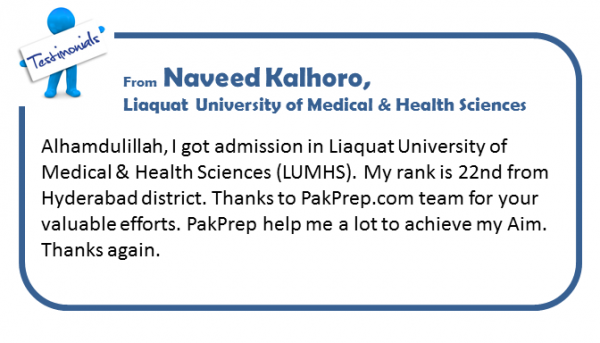 Pakprep.com provides the complete coursework for Sindh Medical Colleges Entry Test. Register Here for free. Here is the complete list of Private medical colleges of Sindh recognized by PMDC along with the number of seats in each college. Here are sample MCQs for Sindh Medical College Entry Test from Pakprep.com. Register for a full set of 15,000 plus MCQs. 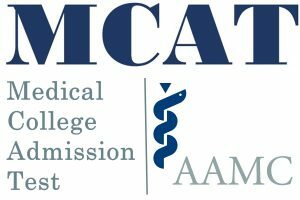 This entry was posted in Karachi Medical and Dental College (KMDC), Liaquat University of Medical and Health Sciences (LUMHS), NED, Sindh Medical MCAT and tagged How many MCQs in Sindh MCAT, How to Prepare for Sindh MCAT, Jinnah Sindh Medical University (JSMU), Medical colleges in Sindh, sindh, Sindh BDS 2018, Sindh BDS admission 2017, Sindh MCAT Answer key, Sindh MCAT Entrance Test, Sindh MCAT MCQs, Sindh MCAT Online Preparation, SINDH MCAT PAST PAPER, Sindh Mcat past paper 2016, Sindh MCAT Past Papers, Sindh MCAT past papers 2015, Sindh MCAT Pattern Format, Sindh MCAT registration date, Sindh MCAT registration dates, Sindh MCAT Scholarships, Sindh Medical Colleges, Sindh Medical MCAT, sindh medical test, sindh NTS on September 8, 2018 by Pakprep.com Admin.